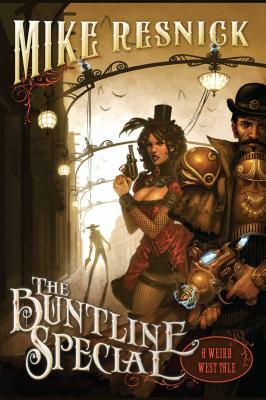 "A fast, fun, and often amusing tale where Wild West meets steampunk. . . . Told in a spare style reminiscent of a tale told 'round the campfire, The Buntline Special has a mythic feel. It's a modern-day Tall Tale with the requisite larger-than-life characters." "With great relish Resnick subversively refurbishes this notorious collection of fact and embroidery. . . . A clever and refreshing do-over that leaves the door ajar for sequels." "When does a Western stop being a Western and start being something . . . else? Mike Resnick poses this question and others in his first foray into steampunk with The Buntline Special, a brilliant and humorously told tale about the Gunfight at the O. K. Corral. . . . This book is just plain fun. Resnick does an excellent job with keeping things original and fresh. . . . I loved this book. . . . I could easily go for seconds. Highly recommended!"